By focusing on the expertise of our three centres, we support, train and certify community social pediatrics centres (CSPCs) in Quebec and elsewhere in Canada to ensure the continuity of the social pediatrics model. Twenty centres have been certified by the Fondation. And for the first time this year, three centres have reached the highest level of certification: Québec, Lévis and Gatineau. Seven centres are in the certification process. Seven centres will open in 2018-2019, while 14 new communities have been mobilized. The Knowledge Transfer team ensures the training of the next generation at all levels, from university to the community, and including ongoing professional training with the participation of social pediatrics clinicians from the Fondation. In addition, the Fondation du Dr Julien is now a recognized training provider of the Barreau du Québec. The CLAN (Child Links with Adults and Networks) initiative was launched as a pilot project in early 2018. CLAN is a social development project that focuses on the mobilization and the mutual support of the community. CLAN strives to empower youth aged 9 to 13 years, by explaining to them their rights and responsibilities, to become the first agents of change in their neighbourhood. The children learn to reflect, express themselves and make themselves heard, to put their knowledge on rights into practice on a daily basis. They are supported by the adults around them in the community, through knowledge on human rights and social action. 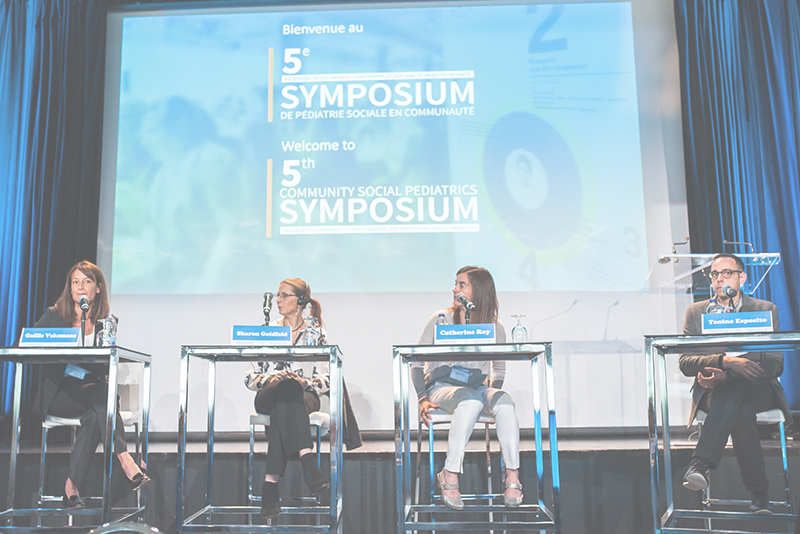 In May 2017, the Fondation organized the 5th Symposium on Children's Vulnerability: Understanding and Addressing Health Inequities. Over 350 professionals, scholars and researchers participated. During this symposium, the report on the identification of the most vulnerable communities on the smallest scale (Toni Esposito, Ph. D. Université de Montréal and Catherine Roy, Ph. D. McGill University, in conjunction with the Government of Québec) was unveiled; an essential study for the implementation of new centres in Quebec. Moreover, the Fondation is working with the Dr. Julien/Marcelle et Jean Coutu Research Chair in Community Social Pediatrics from Université de Montréal, as well as with the Nicolas Steinmetz and Gilles Julien Chair in Social Pediatrics from McGill University with a view to measure the impact of interventions with children and and to study social return on investment for society. Finally, the Knowledge Transfer team is continuing its initiatives by sharing its expertise in social pediatrics, especially by participating in international congresses and publishing articles in professional journals.